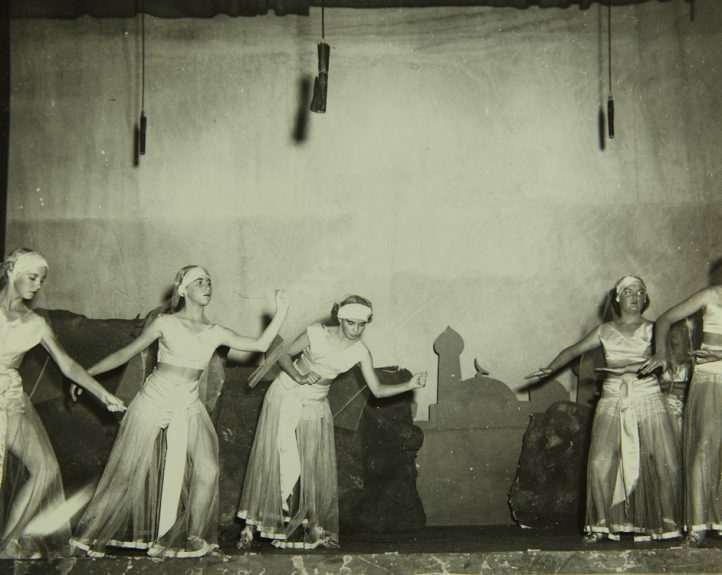 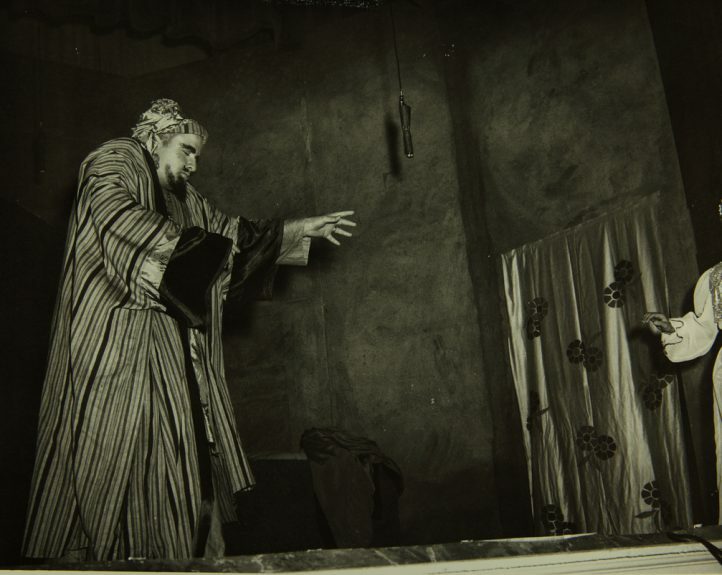 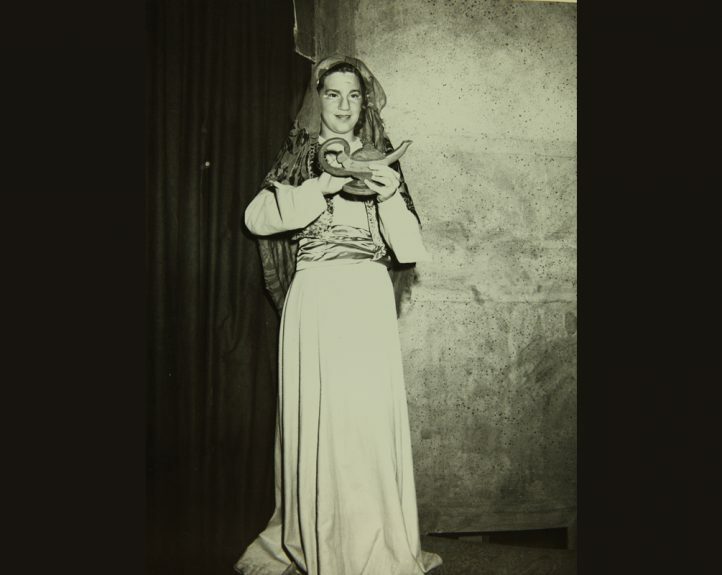 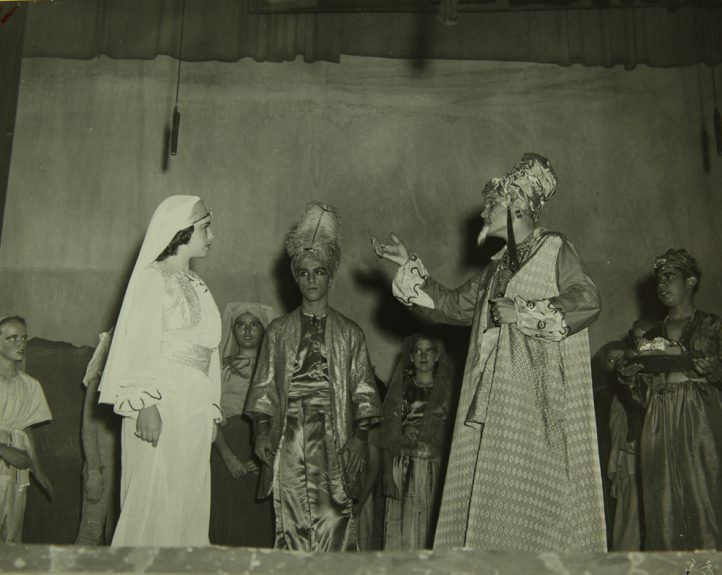 Spurred on by the popularity of the film Aladdin and His Lamp several years before, Junior Theatre produced this version of the Arabian Nights tale, in 1954. 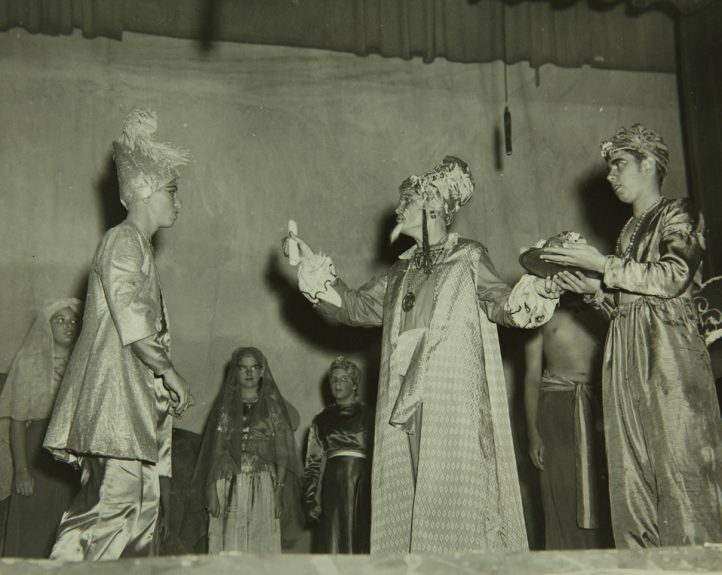 This adaptation by James Norris retells the children’s tale of Aladdin, a tailor’s son who suddenly becomes rich and powerful when he obtains a magic lamp and ring possessed of genies and slaves to do his bidding. 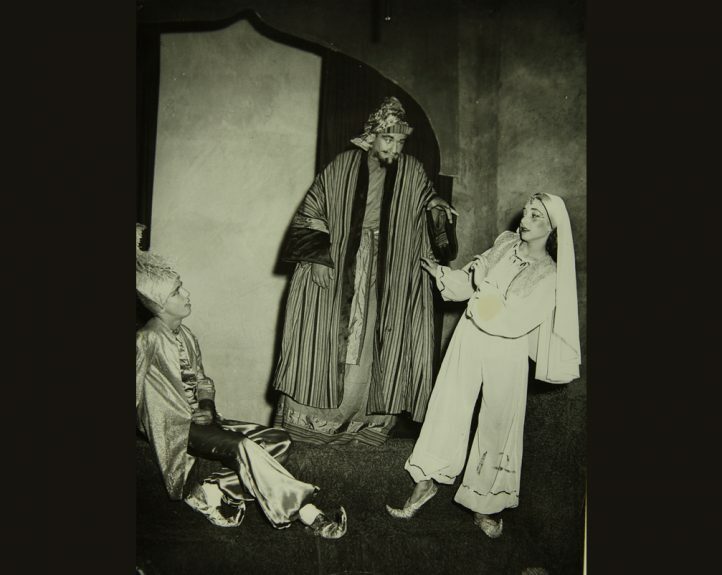 Aladdin uses his new power to win the hand of Princess Adora from her father, the Sultan, but his plans are complicated by a wicked magician who also desires the lamp. 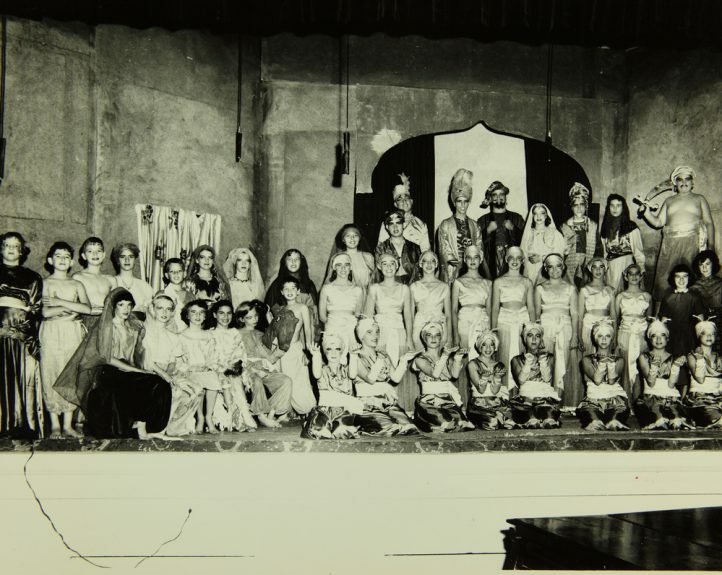 This production was double-cast, with alternating actors, so all students could participate. 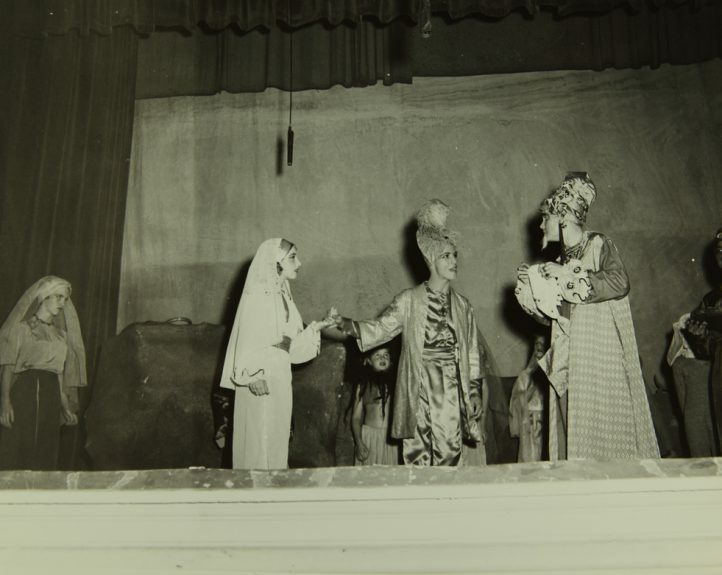 Aladdin and the Wonderful Lamp presented through special arrangement with Children’s Theatre Press (now, Dramatic Publishing). 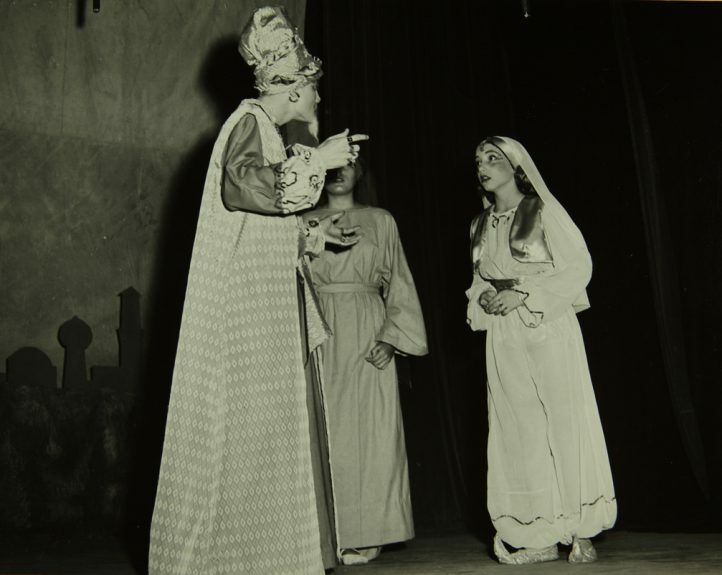 Production sponsored in part by the City of San Diego Park and Recreation Department, the City and the County of San Diego. 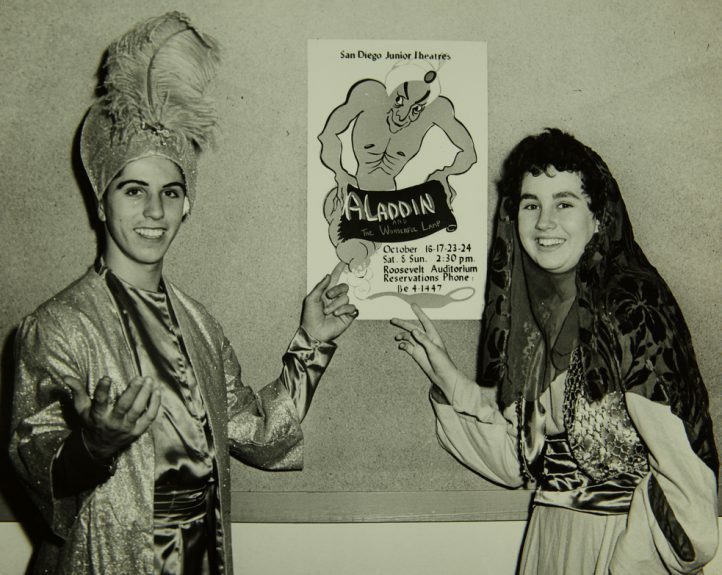 Sources: Ralph W Hastings, “‘Aladdin’ to be presented by Junior Theatre players,” San Diego Union, September 25, 1954.